To volunteer one hour per week or for info, contact Mary Jo Mercier at 386-846-1538 or email mjmercier322@gmail.com. Substitutes are also invited and encouraged. WOULD YOU SPEND ONE HOUR? Adoration prayer partners who spend time regularly in the real Presence of our Lord Jesus agree their faith and relationship with Him has deepened and flourished. Perpetual Eucharistic Adoration is the adoration of Jesus Christ present in the Holy Eucharist. 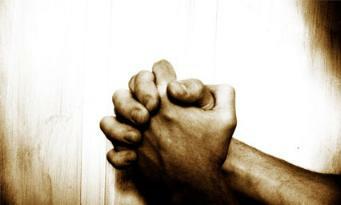 People come to pray and worship Jesus continually throughout the day and often at night. Christ’s great love for us was shown when he was crucified on the cross to pay the penalty for our sins and give us eternal life. He loves us without limit, and offers Himself to us in the holy sacrament of the Eucharist. Can we give Jesus a few minutes of love and adoration in return? How blessed we are to experience the gift of His continual presence – available to all through our Perpetual Eucharistic Adoration Chapel. Here in this place, our Lord is ever waiting, ever present, rejoicing over each soul who comes to sit quietly with Him. Visit, pray, trust and praise, and know that He Is God. The soul of one who visits with Him cannot remain unchanged. The exterior door of the chapel is locked. If you do not know the code to unlock the door, knock and someone will let you in. You may wish to contact the office to request the door code if you intend to visit regularly. Please turn off all cell phones and electronic devices before entering the Perpetual Adoration Chapel. Since the Blessed Sacrament is exposed, there will always be at least one person sitting in the Chapel. Upon entering the Perpetual Adoration Chapel, kneel or express a suitable form of reverence in the direction of the Blessed Sacrament. Catholics believe that Jesus Christ is truly present in the Blessed Sacrament, therefore, it is important to kneel to show Jesus the reverence He deserves. Refrain from talking while in the Adoration Chapel. You can acknowledge others in the Chapel with a simple wave or a quiet “hello” but any conversation should occur outside of the Chapel. Use your time in the Adoration Chapel for prayer and silent reflection. This is your opportunity to spend time with Jesus. 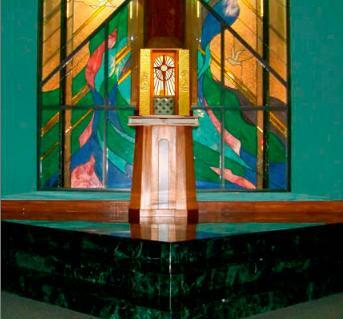 Bring your Bible and other spiritual reading material to the Adoration Chapel. You don’t necessarily have to spend your entire time in the Chapel praying. Reading a Bible is perfectly acceptable behavior while in the Adoration Chapel. Prior to exiting the Adoration Chapel, kneel or bow once again in the direction of the Blessed Sacrament.